Cravings Pro - New Foodie Theme for 2018! - Feast Design Co. 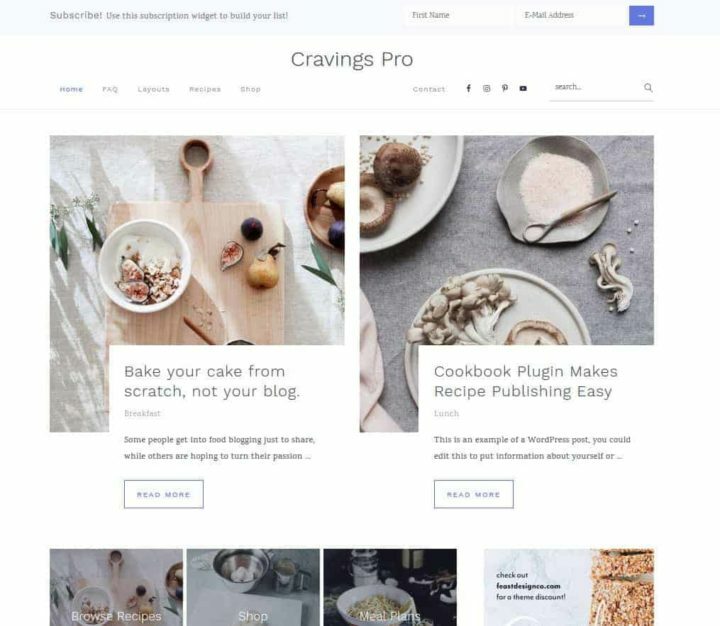 Welcome to Cravings, a responsive, minimalist WordPress theme for food bloggers brought to you by the makers of Foodie Pro. This theme features performance-optimized settings designed to load your pages quicker, increasing visitor experience and boosting search engine performance. Packaged with features like featured posts, widgetized home page, recipe filter index, grid archives, strategic areas for ads and opt-ins, logo uploader, and more. 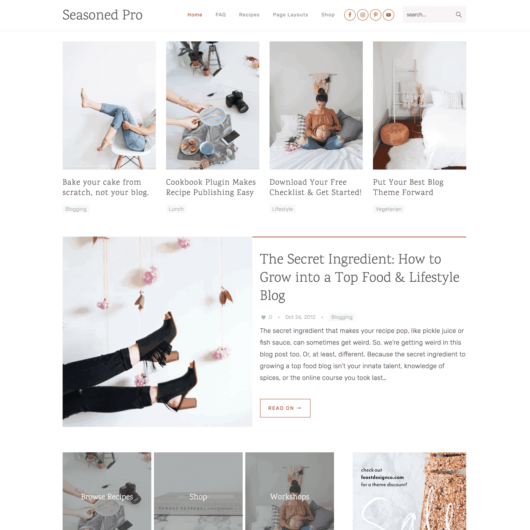 This theme is designed to showcase content, putting your work front and center and making your images POP with a simple, alluring, minimal style. This child theme requires the Genesis Framework, which must be purchased separately. Need managed wordpress hosting? Sign up for our Food Blogger Hosting! We recommend a theme header size of 360 × 110 pixels and you can upload your logo in the Customizer. You’ll have the option to crop if you need to. 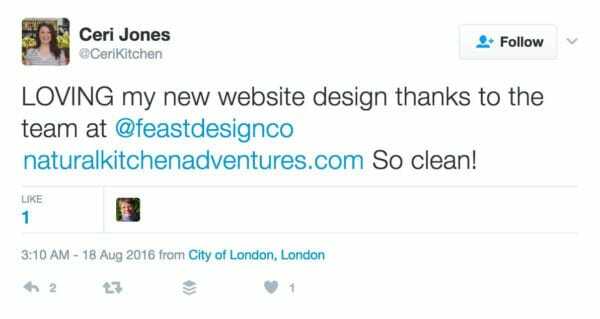 Or, if you don’t have a logo, you can simply type in your blog name and it will be styled to match the rest of your typography. On the flip side, you don’t want to upload images that are too big. If this is a concern for you, check out the ShortPixel plugin to compress images on upload. If you are using excerpts on the archive pages, blog page, or in the Featured Posts widget, a “Read More” button will automatically appear for you as part of default WordPress settings. You can also use the MORE tag to insert the button when displaying full content. I’m glad you asked! Sure, you need a plugin that will make your recipes look great and get attention from Google, but we think you also need a simple, streamlined solution. We currently recommend the WP Recipe Maker plugin for recipes. We include 12 months of support and updates with theme purchases. Since setup takes just a couple hours, this is 355 days longer than you actually need. We have a dedicated support team to help you get your theme set up like the demo site. Check out our helpful tutorials or submit a support ticket if you need additional assistance.